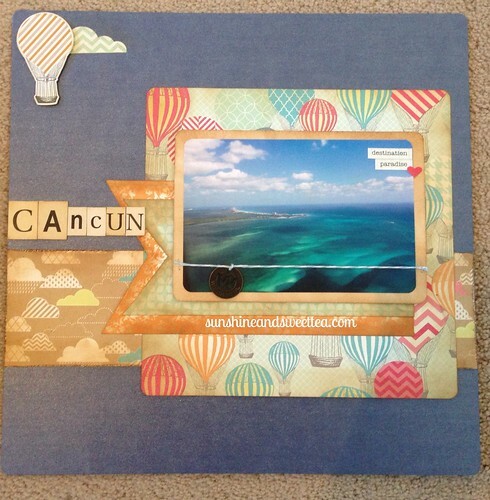 I’ve been feeling super inspired lately and have been scrapbooking a lot. I’ve loved being in my room, or out being social with friends, and playing with paper and all the other goodies in my stash. I’m really trying my best to use up my abundance of supplies that I’ve gathered over the years, and in the process resist adding to the stash until I put a considerable dent into what I already have. I also printed a bunch of recent photos so I’m eager and excited to play with them and tell their story. 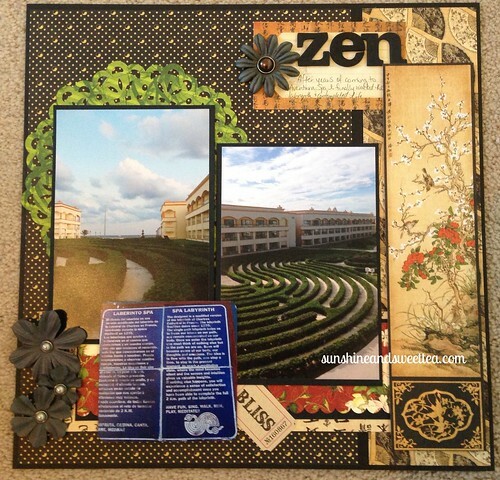 I’m finding that I’m really fiddling with the papers, photos and the embellishments and I’m loving the results. I feel like I’m finally starting to create stuff that is different from the rut I was starting to fall into. The only unfortunate downside is it’s taking me a lot longer to complete a layout, but it’s so worth taking the extra time. I’m finding that the more I play with their papers, the more I fall in love with the Graphic 45 lines that I’ve gathered over the years. They are visually rich, at times very busy, and many of them works of art just on their own. But, when they are fussy cut down and paired together, the patterns work so beautifully together and don’t look busy at all – and work beautifully with so many photos. I’m so glad I got over my fear of “ruining” these papers and finally started to play because I love the result! In fact, 3 of the layouts I’m posting today are from Graphic 45 papers. Most of these layouts are for ScrapMuch? challenges. In full disclosure my main love is usually mini albums, but I do love playing along with the ScrapMuch? sketches and challenges. I’ve actually had to buy more 12×12 albums just to fit all these layouts in! This is a good problem to have! The pictures were taken at the Botanical Gardens in Washington DC from my trip there last summer. The patterned paper is all Graphic 45 Bird Song. I love this line so much. I bought it to use for my cherry blossom pictures but it’s proving to be very very versatile. Using up my Rusty Pickle Chocolate Bunnies stash of paper that I’ve been hoarding forever to pay tribute to one of my favourite places – the Spa at Aventura Spa Palace. I used Echo Park’s Everyday Eclectic line to highlight a picture I took of the Cancun hotel zone just prior to landing at the airport. Every single time I land there I am taken aback by the amazing colours of the ocean. More amazing Graphic 45! This time the Transatlantique Collection was perfect to use with a picture I took of the beautiful Paris Las Vegas last fall. 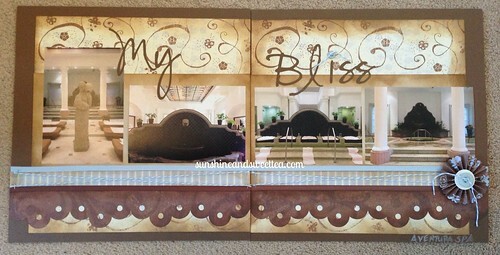 Finally, another layout using Graphic 45 Bird Song to highlight the labyrinth at Aventura Spa Palace. 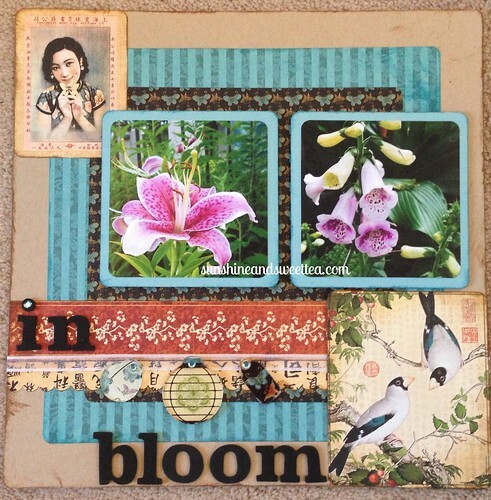 Wow you have been super productive, using up your stash with gorgeous results! And the photos oh my,you have been to some incredible places! Thank you for linking up with us, i hope you continue to play along and share! You are one talented chicklet !!! Thanks for playing along in our challenges! Oh wow! These are all just lovely … definitely showcasing both your talent and the amazing travelling you have done! 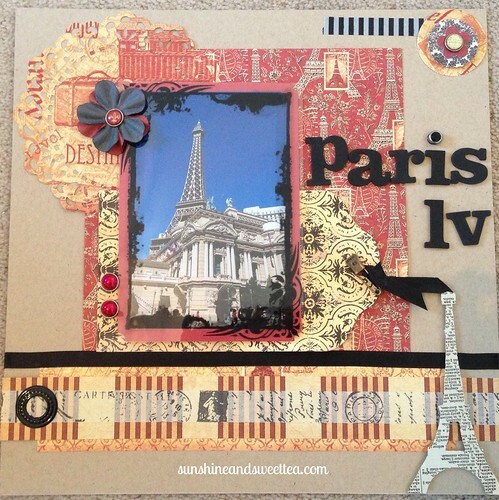 I always love seeing the places that people have gone through their scrapbooking pages, and you’ve done an incredible job! So glad you shared!! !